A icy start to the day in Dublin. It may be a bit cold but it always is good for photos. 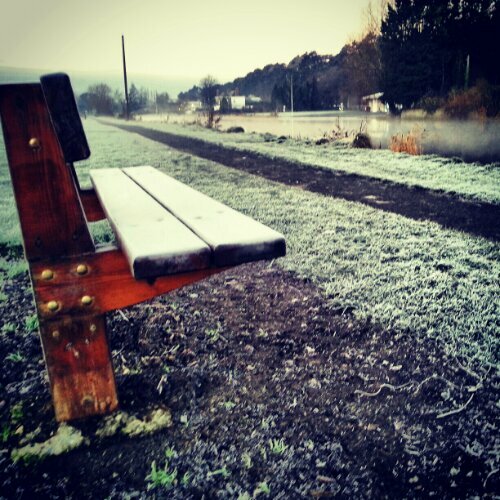 This mornings one is a little frozen park bench beside a foggy river.